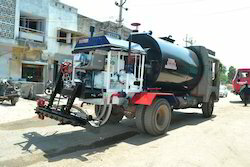 Prominent & Leading Manufacturer from Mehsana, we offer truck mounted bitumen sprayer, trolley mounted bitumen sprayer, automatic bitumen pressure sprayer and bitumen sprayer. 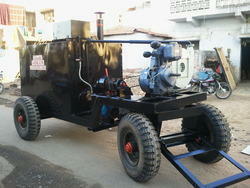 We are offering the best quality of Truck Mounted Bitumen Sprayer. 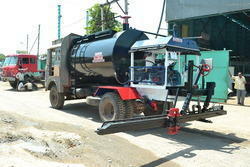 We are providing the highest quality of Trolley Mounted Bitumen Sprayerto our customers. Leveraging on our enormous business understanding of this particular arena, we offer the best quality of Automatic Bitumen Pressure Sprayer. Bitumen Pump: 2" x 2" size Positive displacement gear Pump with output of 350 Lit. / Min. (Max). Bitumen Spraying Pressure: 0 to 6 Kg/cm². Tachometer: Slow Speed 0.5 meter / min. 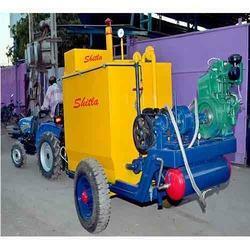 Shitla Road Equipments is acknowledged as a reputed Bitumen Sprayer.